Nope. Don’t do that. That’s not my initial reaction. Sometimes, they are so automatic that I’m not keenly aware that they are taking place. But when I stop. Look. Listen. I capture them. Analyze them. And realize I have got to change this. But I’ve come to realize that this isn’t in every season of my life. For example, I go back to the time when I blogged on a secret anonymous blog for about 6 months. I documented my entire day, every day for one woman. Why? Because I wanted her to believe in herself again. To believe in who God had created her to be. I woke up those mornings and didn’t attack myself. I knew who I was in Christ. I knew how beautiful my body was. Even with all the flaws, there was something I was proud of. You know what it was, I think? I knew what to do, and I did it. Insecurity. It’s a beast. But there’s a root to it all. We KNOW that we are capable of more. Yet. We’re not doing it. If someone asks us our advice, we can give it to them. Can’t we?! I know what to do, yet I am not doing it. What a gap. The larger the gap, the larger the insecurity. What if today we do one behavior that closes that gap? 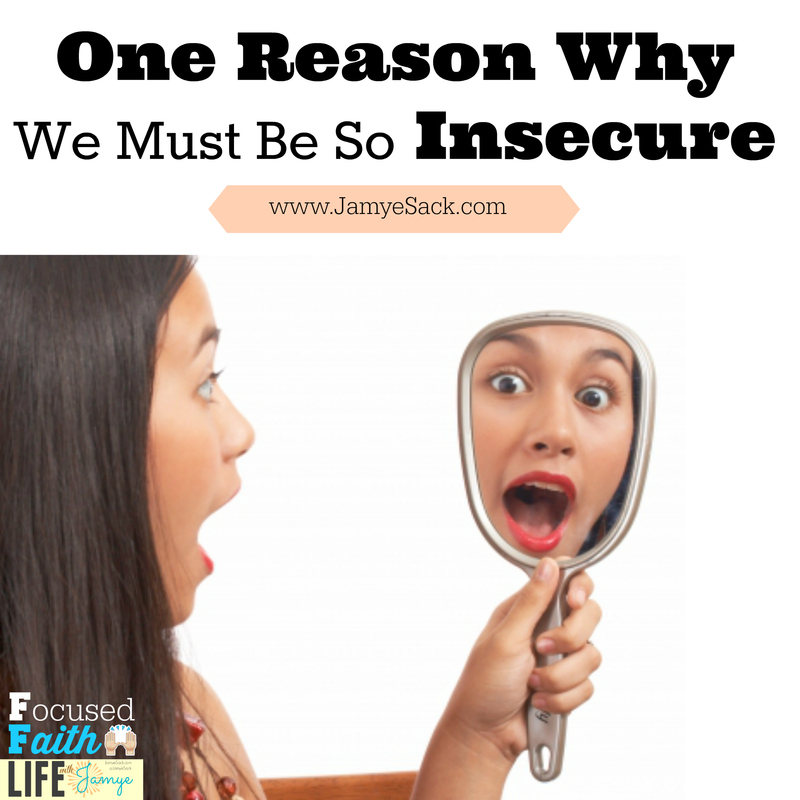 Could we be heading in the right direction with our self-esteem? I think so. In fact, I know so. That cohesion fuels me. It feels good. What if you and I did that together? What if we were honest with ourselves? Maybe we wouldn’t worry about the person next to us and instead, worry about our own behaviors. Our own lives. I’m thinking that maybe we can then step into a whole new self. And be a whole new woman for God’s glory. Just some thoughts after my sleep deprived night of tending to a little one with the stomach flu. So the one reason we must be so insecure is because of this GAP. So let’s close it. Let’s do what we know to do. It’s not perfect. But it’s a start! What could you do today that would be consistent with who you KNOW YOU are on in the inside? Spend time with our God? Just one thing. And maybe that could snowball into a whole new you! Just some thoughts. How about it? Let’s work together and close our insecurity gaps?! Looking for more help then a simple blog post? Consider allowing me to come alongside you and serve you in your fitness and food goals this year! Check out my packages on this link.